The wildlife in the San Juan Islands is quite diverse; from the diminutive, one inch purple shore crab to the majestic and powerful, 25 foot orca (killer whale) and everything in between. 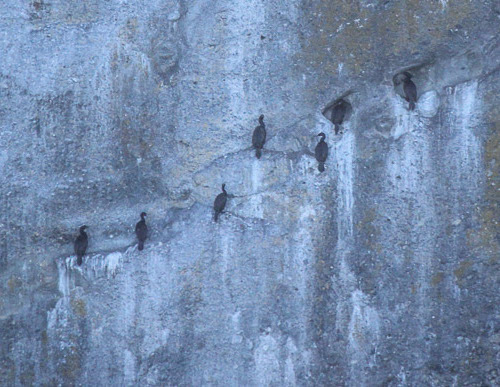 For those of you who love birds, the San Juan Islands are a birder’s paradise. Many different species make the Islands their home. Our naturalist guides are extremely knowledgeable and are available to answer any questions that you may have. Here are just a few of the different varieties of species that you might encounter in this amazing ecosystem. 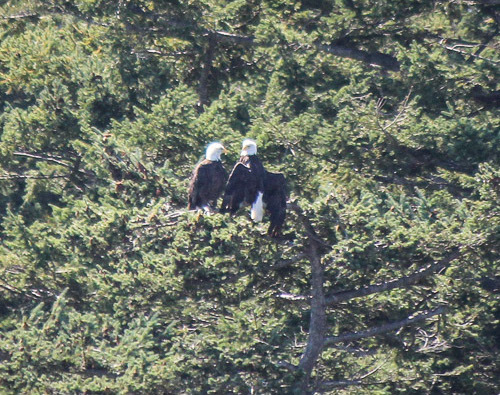 The largest animal in the food chain of the San Juan Islands, these beautiful and majestic animals are what many people come from afar to see. With the larger males reaching a length upwards of 25 feet and having a dorsal fin nearing six feet, you really get a feel for just how large and powerful these orcas are. 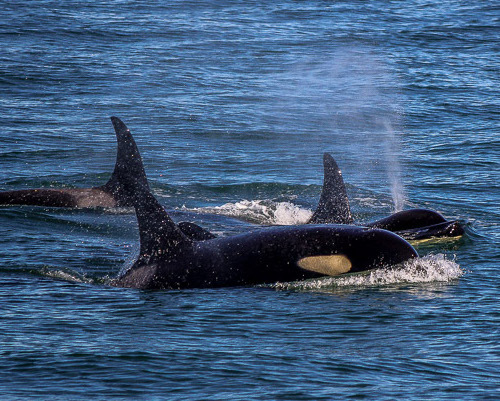 Viewing an orca pod (family) in the wild is a special privilege that few people ever see. 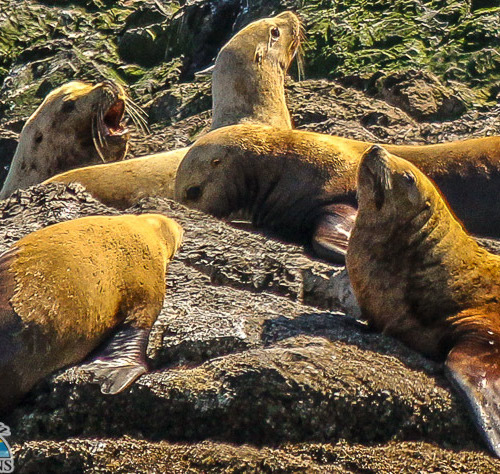 Frequenting the San Juan Islands in the spring and fall months, Steller sea lions are usually found out on rocky outcroppings. While adult female and male Steller sea lions are roughly the same length, the males are much larger, weighing up to 2,500 lbs. Harbor seals are the most numerous of the marine mammals in the Puget Sound. You will often catch them lounging around, soaking up the sun. Sometimes referred to as "dogs" of the sea, these playful little animals do resemble dogs swimming in the sea. 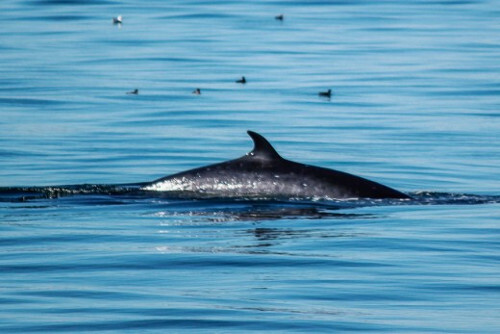 One of the more elusive creatures in the San Juan Islands, minke whales come up for a breath of fresh air and then as quickly as they arrived, they are gone again. They will often times stay under water for 20 minutes or more. Minke whales are one of the most numerous whales in the world and the second smallest of the baleen whales. Quite often mistaken for the much larger orca whale, Dall's porpoise are very abundant in the San Juan Islands. With their black and white coloring, it is easy to see why. 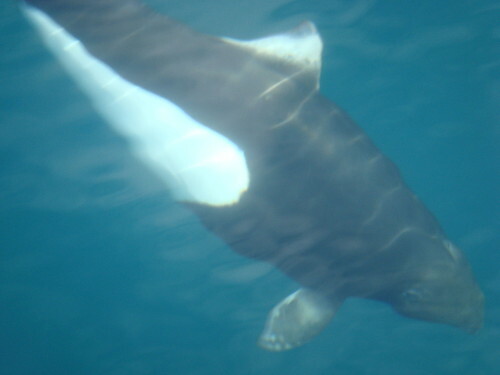 However, once you have seen an orca whale there will be no mistaking the Dall's porpoise. Very playful in nature, Dall's porpoise ride on the waves of boats bows with apparent effortlessness. Bald eagles are one of the most awe inspiring birds in nature. Standing nearly three feet tall, with a wingspan of up to seven feet long, you can't help but feel their power. Nearly at the brink of extinction in the continental U.S., the bald eagle has made an amazing recovery and are now seen throughout the country.